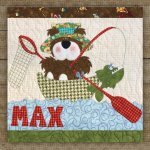 The pattern for the "Fishing Bear" is included. Finished size of the wallhanging is 16 1/2" x 31 1/2". Precut available of the Fishing Bear HERE. Before you were born...… I prayed for you, I dreamed of you, I imagined you. 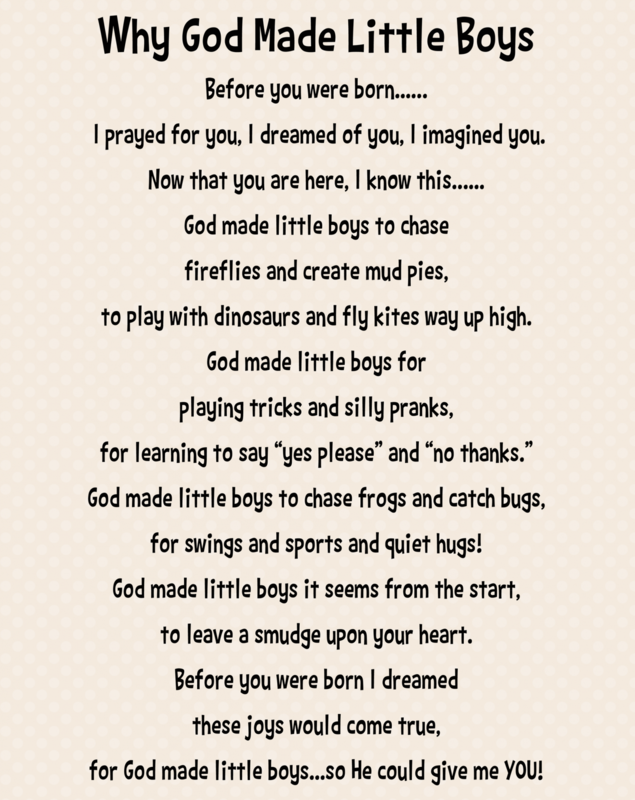 Now that you are here, I know this…... God made little boys to chase fireflies and create mud pies, to play with dinosaurs and fly kites way up high. God made little boys for playing tricks and silly pranks, for learning to say “yes please” and “no thanks.” God made little boys to chase frogs and catch bugs, for swings and sports and quiet hugs! God made little boys it seems from the start, to leave a smudge upon your heart. Before you were born I dreamed these joys would come true, for God made little boys... so He could give me YOU!